Got you attention? 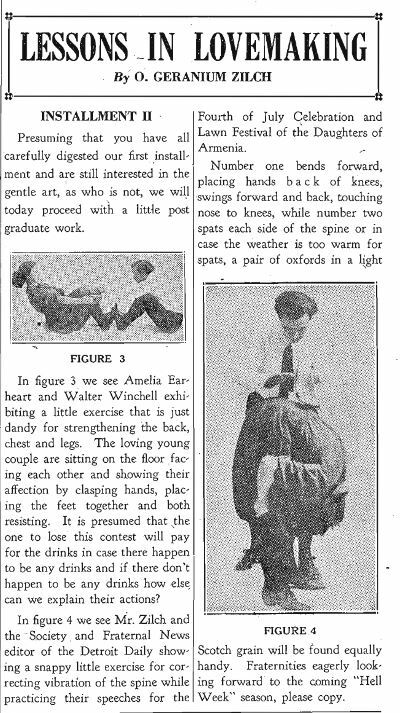 Would you believe this was the headline of some articles in the Varsity News in 1930 – actually it was a three part series! How about if I told you it also included pictures. Well be prepared to be disappointed. The Varsity News from May 7 to May 21, 1930, ran a series of articles that had that title, but how to describe what it actually is about is a problem. It does not seem to be about much of anything. Read it here and see what you think.